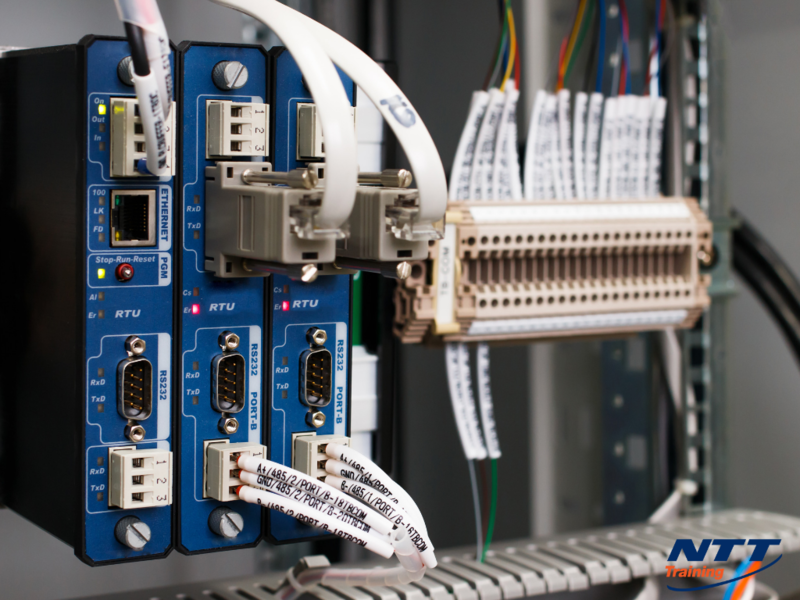 NTT Inc. - What are Programmable Logic Controllers: What Should My Employees Know? Unless you’re in a career in industry, manufacturing, and technology, there’s a great possibility that you don’t know what a programmable logic controller (PLC) is or what they do. But to people that work in those industries, PLC’s make their manufacturing plants, assembly lines and other repetitive activities run smoothly and efficiently. In short, they are responsible to automating some of the critical functions that industrial and manufacturing facilities rely on to meet production schedules and streamline workflows. In many cases, they are working in environments that that would be too hazardous for human workers. What are PLCs and How Do They Benefit Those Working in Various Industries? PLCs are computer devices used in industrial control systems applications. PLC’s are made to withstand harsh or dangerous environments such as extreme temperatures, vibrations, electrical noise, moisture and humidity. PLCs are special purpose digital computers and microprocessor-based unit that is programmed to trigger and control sequential programmable memory that controls sequencing, timing logic arithmetic and counting actions. For instance, traffic lights are a great example of how PLCs are used. PLC’s perform single tasks with reliability in real-time scenarios. PLCs can be used in areas where humans wouldn’t be adaptable and they are also very low cost as when the project changes, the application can be changed by just changing the software. This also makes it easier to use, since with PLCs you don’t have to change the hardware components as needed with different micro-controller systems. Is PLC Training Needed for Your Team? In many businesses, it is important to consider continuing education for employees to make sure they are trained in the newest technologies. Advances are always happening and being able to monitor, program and fix PLCs are of critical importance in keeping assembly lines and other uses within the industrial/manufacturing arena working at peak performance. These are key skills that any PLC administrator should know in order to be proficient in the job. Is PLC Training Worth the Investment? Where to Send Your Team for Added PLC Training? If you’ve decided that PLC training is the right course of action for your team, then there is no better option than NTT Training. We offer expert, practical, hands-on training to skilled trade workers around the world. Some of the most comprehensive, skills-based seminars available. Don’t delay, find out more information about NTT Training and how your team can benefit from the added skills and knowledge they will gain from their seminars. Connect with a representative today to schedule your session.